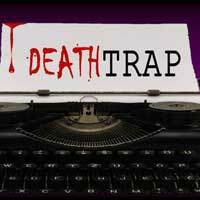 Deathtrap is one of the most deviously-plotted thrillers of the last half-century, from the pen of a master. In it, writer's block can be a killer -- literally. One writer tries to "un-block" by taking on a young apprentice; but is he hoping to mentor the younger man or steal his new idea, or is it something even more sinister? The twists and turns of this cautionary tale have delighted audiences since its premiere in 1978. See it for the first time or visit it again. Either way, you will be captivated.